In a more connected and transparent world, listening to consumer dialogue and rapidly responding to consumer critique or needs is crucial. 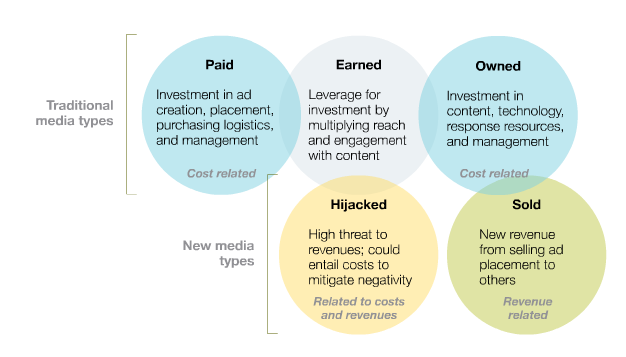 From a narrow focus on paid and owned communication companies today should focus more on how the sum of their activities are affecting their earned communication. With the explosions of in the use search engines like Google and social media like Facebook and Twitter, earned communication plays an increasingly important role in consumer choice of products and services in the future. As this Forrester survey documents – the opinion of friends or people you know have tried a product are the most important factor in deciding whether to buy a product. This is not new some would argue. 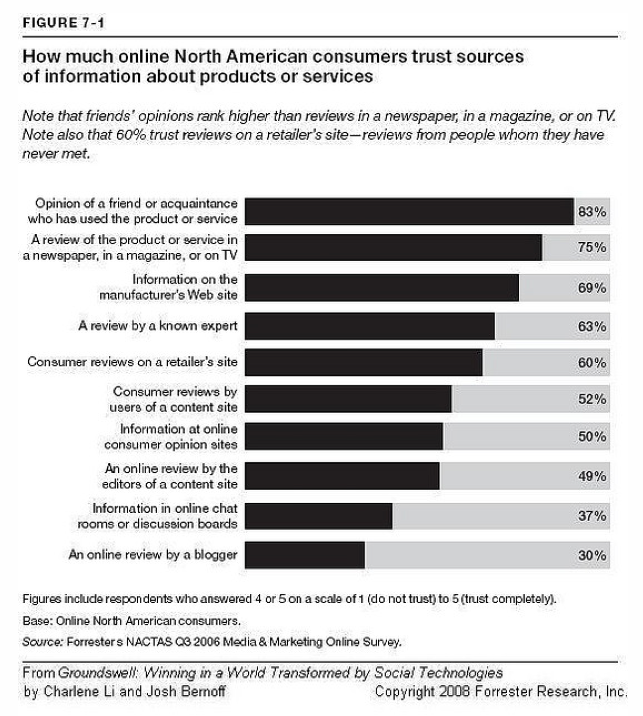 Word of mouth has always been a critical part of the consumer decision-making process. But the new thing is that access to word of mouth and global consumers opinions have improved dramatically with the Internet and Social Media. Consumers today are crowd-sourcing decissions on anything from what cell-phone service to choose, what online banks are Mac-compatible and what carrier bike are best for transporting their children. 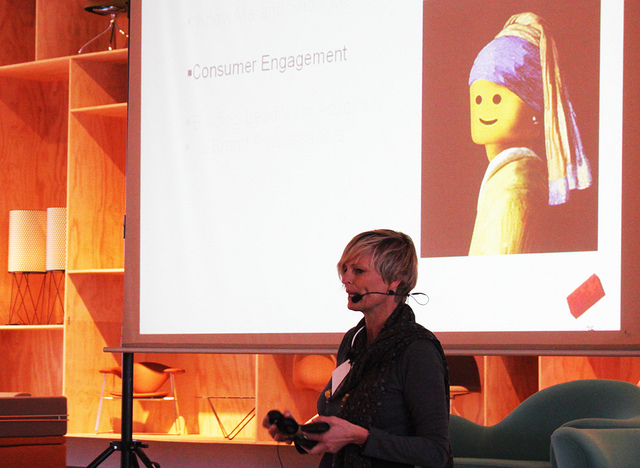 Conny Kalcher, Vice President for Consumer Experience at LEGO, joined LeaderLab last week to share insights on how LEGO are engaging with lead users and fans. 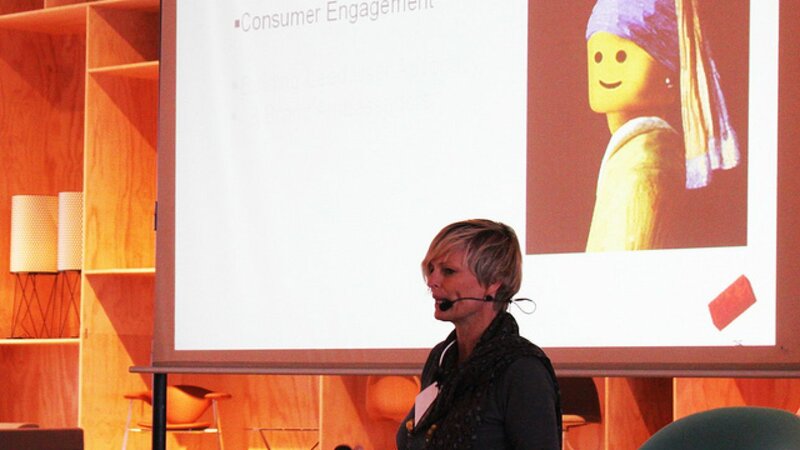 With products like LEGO Mindstorms and LEGO Design By Me, LEGO has demonstrated both how to form strategic partnerships but also how to open up products for user participation, mass-customization and co-creation. This is not the result of an aggresive social media strategy the last couple of years, but a long company tradition of involving lead users and fans. As interesting as successful cases on earned communication from loved consumer brands like LEGO, is of course when things go wrong. What happens when angry consumer or former employees hijack brands and well coordinated campaigns. In September 2010 Matthew Guiste from Starbucks joined us from Seattle to talk about Open Innovation and the Social Media philosophy. Starbucks is indisputably one of the most successful brands in Social Media with around 15 mill. fans on Facebook and more than 1 mill. followers on Twitter. But even prepared Social Media super stars like Starbucks can have it’s well planned marketing campaigns hijacked as a case from 2009 shows. In may 2009 Starbucks launched its biggest advertizing campaign in the company’s history. Posters was put up in six major cities in the US. To further spread its message and engage consumers Starbucks challenging people to hunt for the posters and be the first to post a photo of one using Twitter. 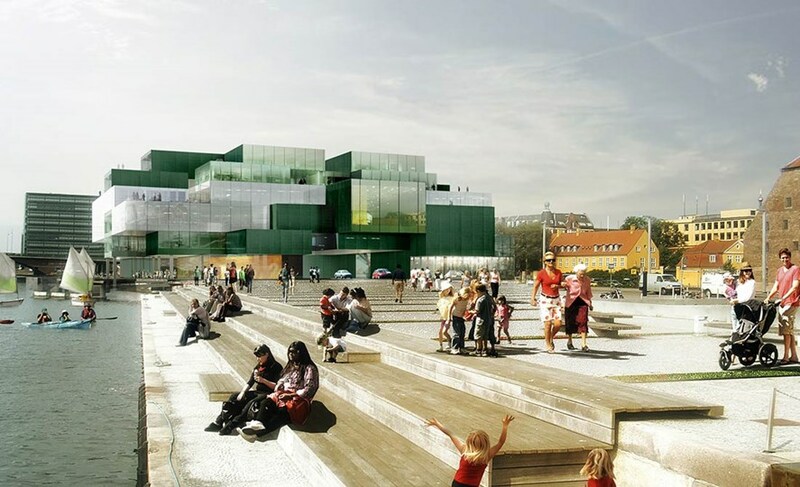 Read more about how the intensions behind the campaign in New York Times. Unfortunately for Starbucks Robert Greenwald, a filmmaker, came across the above mentioned NYT article. Greenwald had been working on an anti-Starbucks documentary for some time. 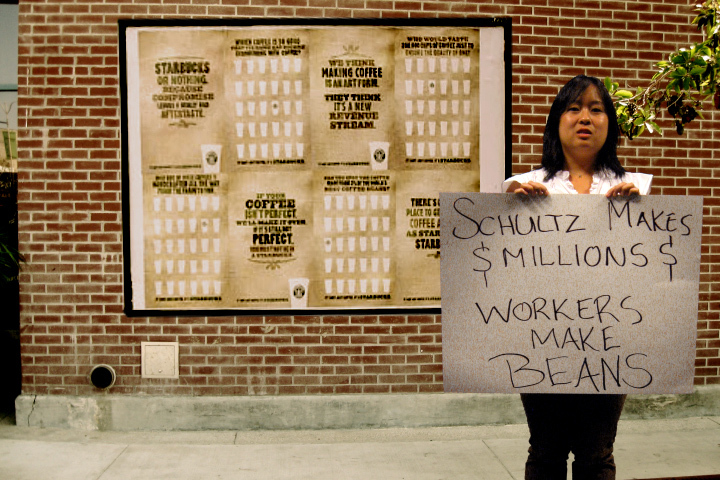 The documentary features interviews with several former and current Starbucks employees and makes the argument that the company has unfair labor practices and has aggressively fought off unions. 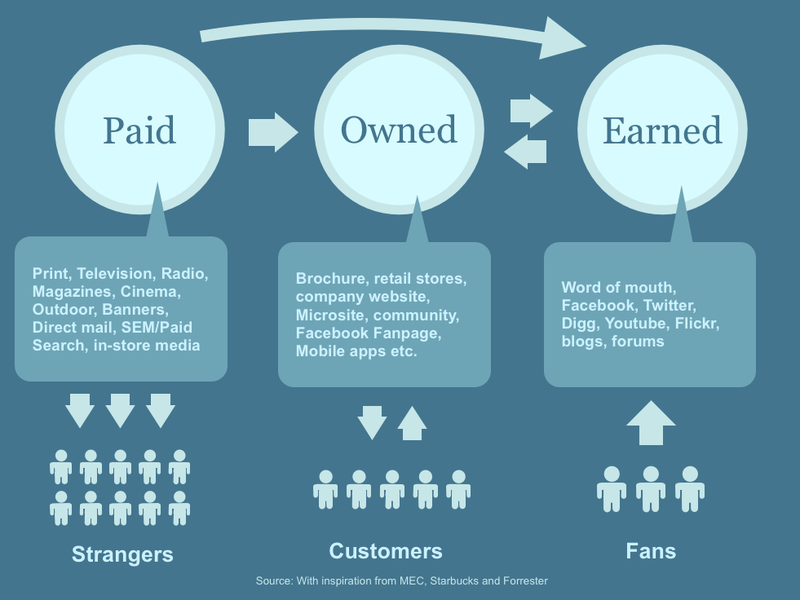 In an attempt to embed these new realities of marketing, social media and consumer dialogue McKinseyQuarterly has made an attempt to further developed the ‘Paid, Owned, Earned’ model to incorporate Sold and Hijacked media. Companies as well as CEO’s have to get used to – and learn to live with – that employees and customers have opinions about their products and leadership. There is nothing new about this! The new thing is that these opinions increasingly are publicly available via Google and Social Media like Facebook, Twitter and Forums. In many cases both leaders and companies can learn a lot from listening and engaging in dialogue – also with critical consumers. In many cases critique of a product or a decisions is a result of consumer or employee passion. On the one hand companies can learn a lot of tapping into this passion. One the other hand it is important to understand that you as a leader or organizations at times will make unpopular decisions. Use social media to listen, make your argument and get inspired – but be prepared that you will also have to live with critique – even in public.